More often than not, it's the constant bombardment of little challenges we face in our daily lives that tests our resilience the most. Eating away at our ability to cope, we are left overburdened and lacking in self-worth. So what can we do to fortify ourselves to overcome these obstacles? For Psychiatrist and wellness expert Dr Samantha Boardman, feeling strong is all about accessing the small amounts of resilience that exist even within our stress, which is why she has developed her six proven principles for recognising and building on the assets you already have. 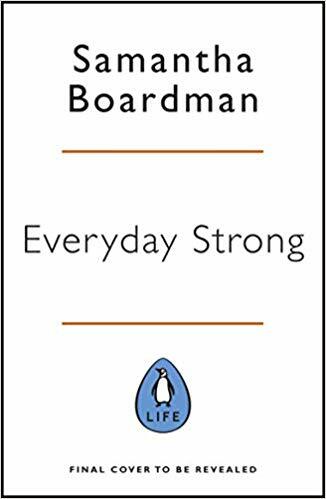 Instead of wallowing in panic and indecision, Everyday Strong will furnish you with all the skills you need to manage the daily barrage of stress, from the slew of competing demands at work, conflicts with loved ones, losses or disappointments, and even nuisances like missing luggage. These are the problems that defeat us, overwhelm us, and rob us of confidence. It's time to take back this confidence, it's time to be Everyday Strong.